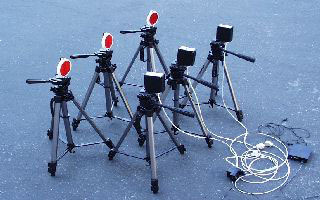 System for the measurement of force and power of the trunk rotation muscles. 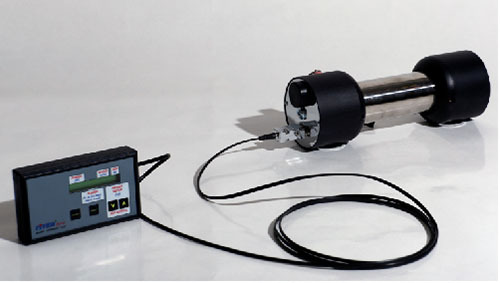 Consists of inertia measurement unit in a small box with integrated USB interface and software. The system requires user´s own PC. 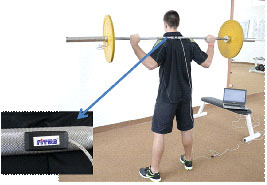 Insterted on the barbell axis the sensor unit registers instant angular of rotation movement. Calculations of force and power are based on the Newton´s second law of mechanics. 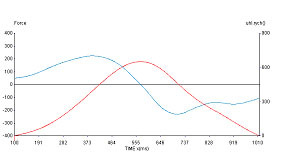 Force produced to accelerate and decelerate a rotation movement is obtained as a product of barbel mass and acceleration of its center of gravity. Angular acceleration is obtained by derivation of angular velocity. For the transformation of angular velocity and acceleration into their real values a rotation radius (distance between rotation axis and barbel mass COG) is used. Power is calculated as a product of force and velocity. 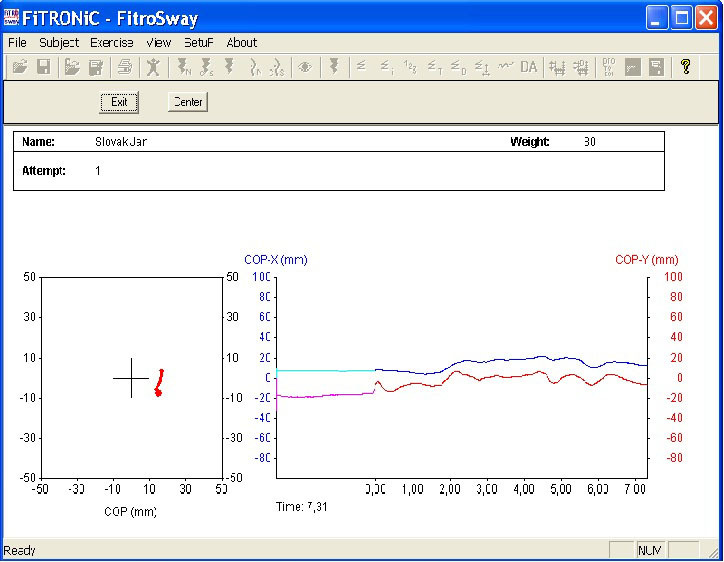 Summary of results is displayed after execution of complete rotation movement. 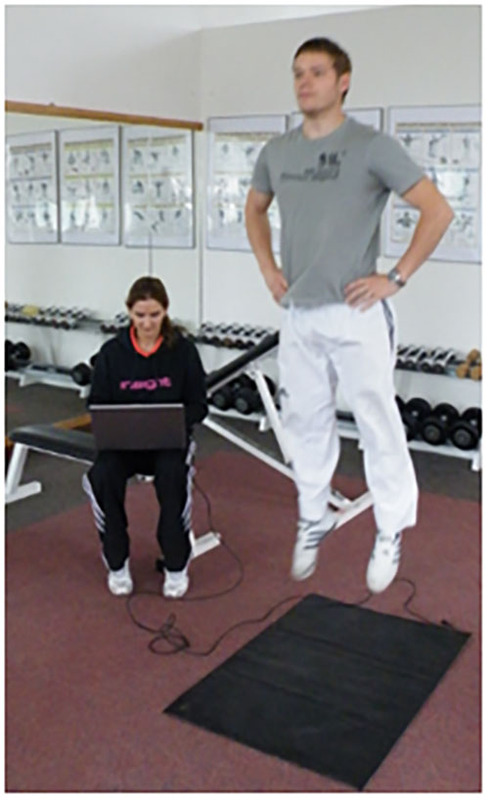 Higher force and power produced during maximal effort acceleration and decceleration while performing complete stroke in one direction (from right to left or left to right) reflect stronger muscles involved in rotation movement of the trunk. Strong rotation muscles of the trunk are important performance affecting factor in sports like ice hockey, kayak canoe, rugby, american footbal, track and field (shot put, discus, javelin), tennis etc. 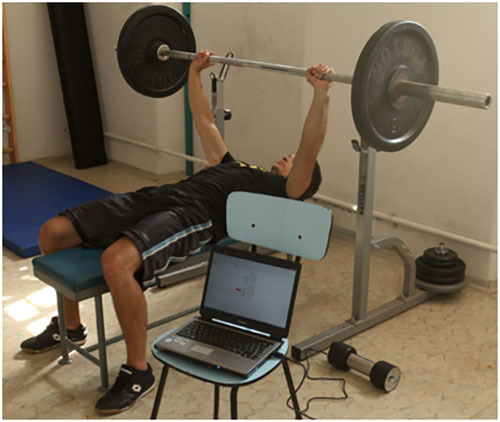 Functional evaluation of ice hockey, rugby, american football and tennis players, paddlers, field athletes, etc.